Maybe it's just my loathing for cats, but it looks to me like Merlin is about to devour the camera. I know! I love it. 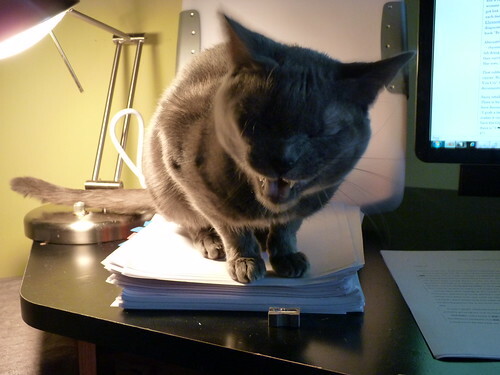 Cats mid-yawn are hilarious.